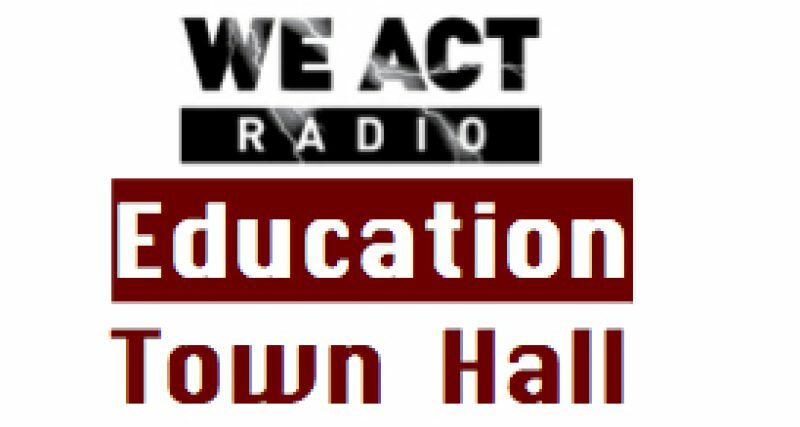 Technology challenges in DC Public Schools and update from Jeff Canady, former teacher and union rep, on his long fight for justice from DCPS on the next Education Town Hall. Listen at 11 a.m. EASTERN on Thursday, October 11, via TuneIn or by visiting We Act Radio and clicking on arrow at upper left (NOTE: Not all “listen” buttons are working at present). OR check back for archived show, published shortly after air-time. Alex Simbanam, parent at Cleveland Elementary School (Ward 1) and representative to DCPS advisory board for systems and innovation. See the slide-deck (PDF), “DCPS Tech Challenges and Opportunities,” for detailed information. To join the parent-led coalition to bring 21st technology to all DCPS schools, e-mail ghgracehu at gmail(dot)com. In the second segment, we are joined by Jeff Canady, who continues to fight for his own back pay as well as better conditions for everyone inside DC schools. Canady taught for 18 years in DCPS and served as an officer in the Washington Teachers’ Union, before his 2009 termination. Canady alleges that he was fired for criticizing DCPS, and an arbiter recently ruled that he was wrongfully fired. (See July 22 Post article). DCPS is appealing the decision, including the back-pay award, and Canady is not alone in his fight over wrongful termination. New programming 2nd and 4th Thursdays, alternating with classic shows.